and enjoy all year round. 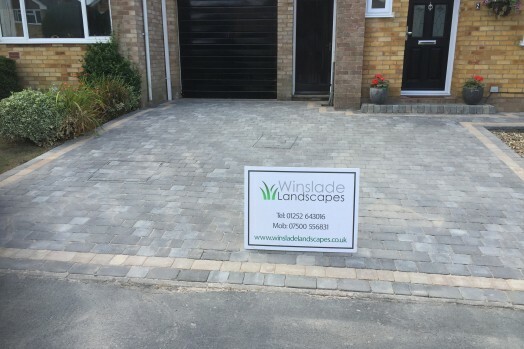 Winslade Landscapes is proudly an independant family run business with 15 years landscaping experience. 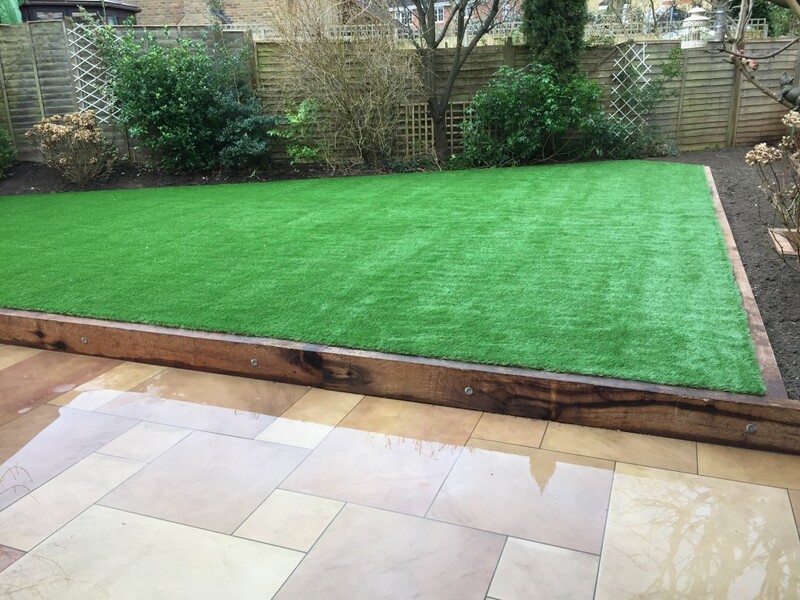 We specialise in Patios, Artificial Grass, Driveways, Decking, Fencing, but we are able to undertake all your hard landscaping needs. The company is named after our grandfather who was sadly taken from us in 2007. It makes us very proud to be carrying his name on and we know he would be extremely proud of seeing his name on our vehicles, and knowing the high level of service we’ve quickly become known for. 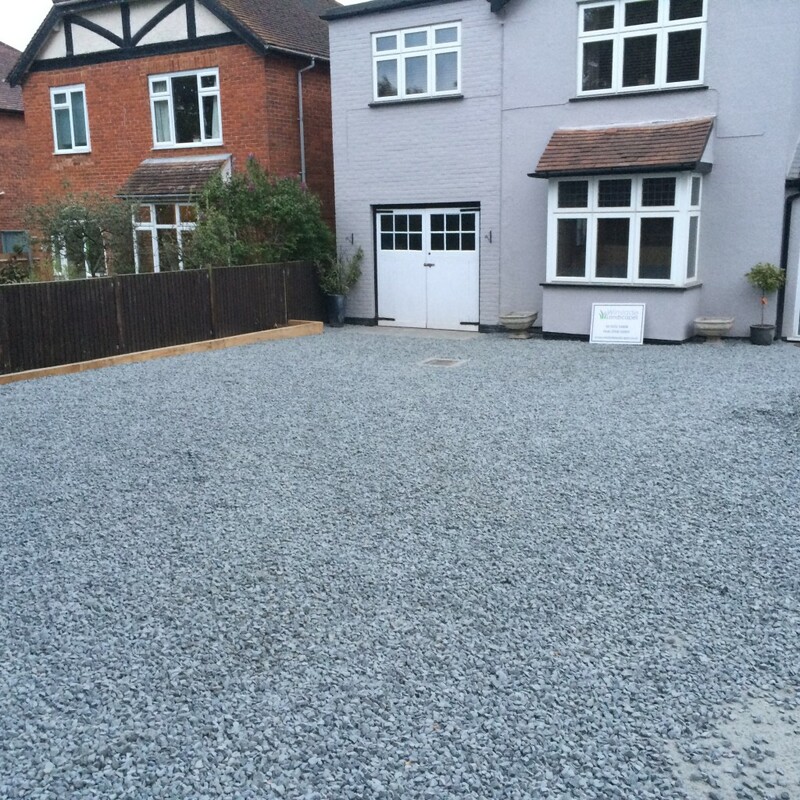 If you are thinking of getting your driveway re-developed then we would highly recommend it. 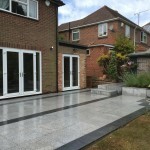 It can completely transform the front of your property, maximising curb appeal, and also actually add value to your house. 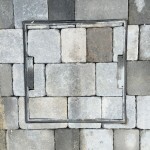 Whether it is a modern or traditional block paving you require we can advise to your individual requirements. 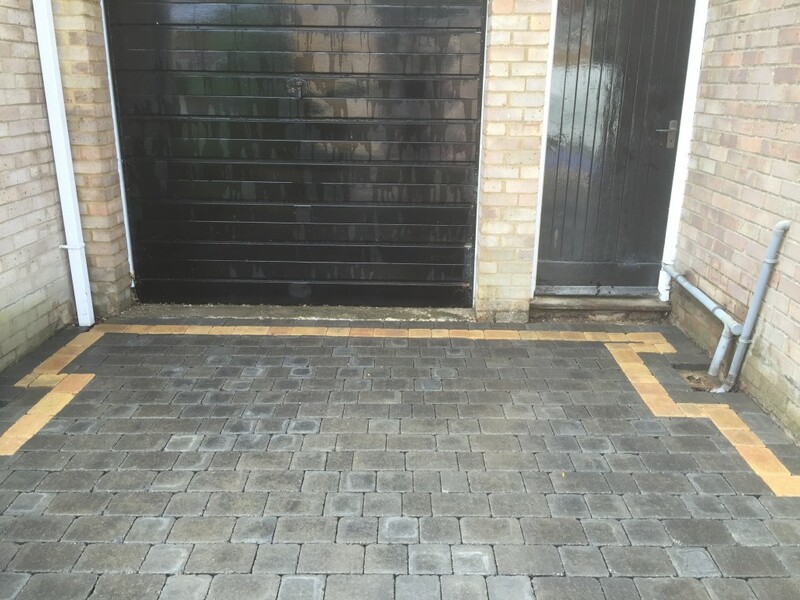 Some clients also opt for some classy finishing touches such as a block edging and shingle driveway with a rumble strip across the front to retain the shingle and keep a neat outline. 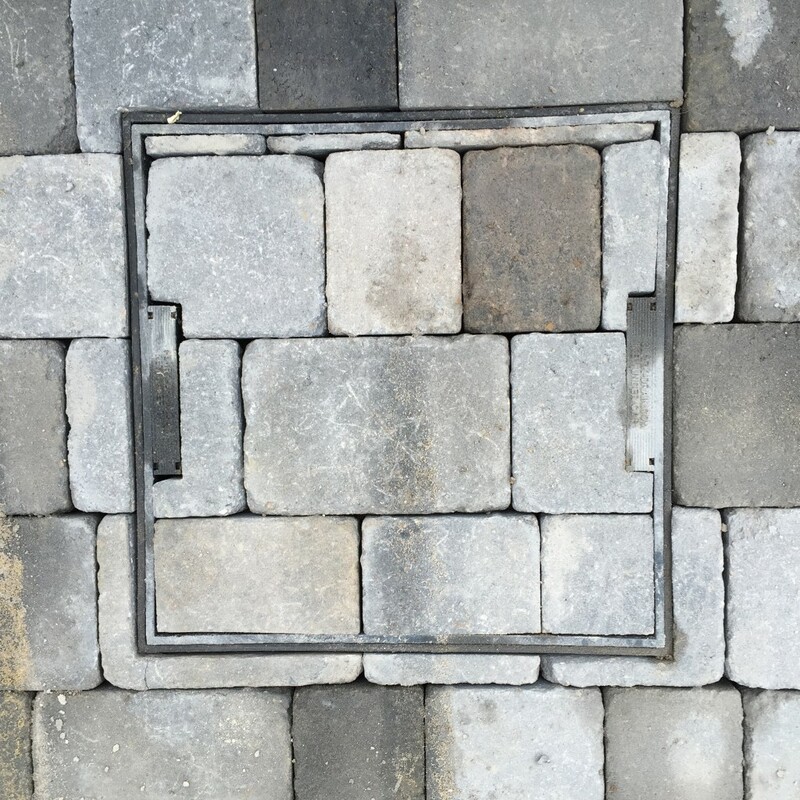 There are lots of possibilities and new products coming through all the time so we can provide samples at the design stage to make sure you pick the right stone for your drive. 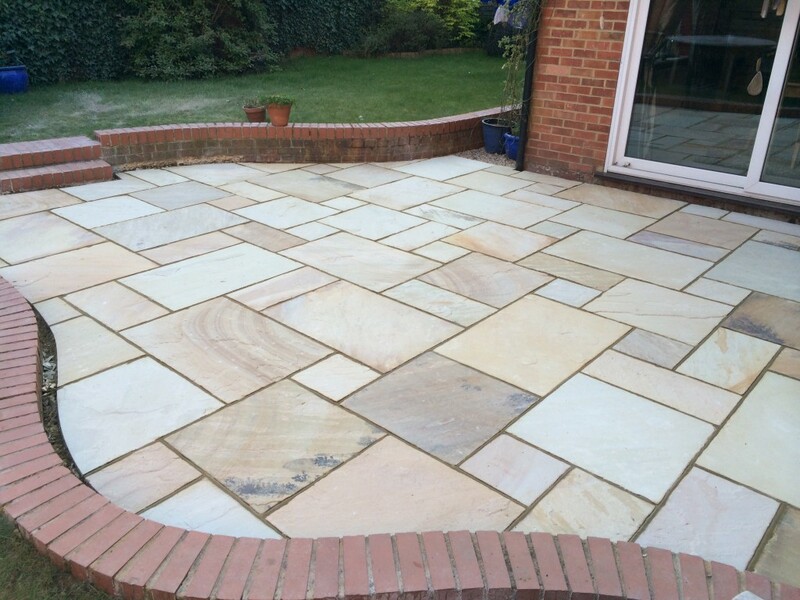 Being Bradstone Assured installers, Winslade Landscapes can offer a whopping 10 year product guarantee and 5 year installation warrantee. 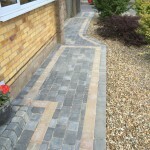 Here at Winslade Landscapes we take great pride in our paving solutions. 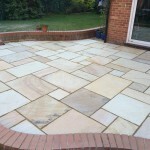 We have committed excellence to help as much as we can with the design and build of your dream patio. 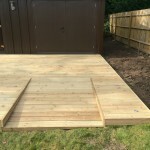 Whether it be utility paving on a strict budget or high end porcelain, we can install anything and advise where necessary to create the best usable area for your garden. 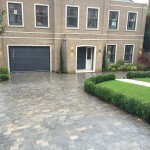 We have a lot of experience in completing large and small paving projects. 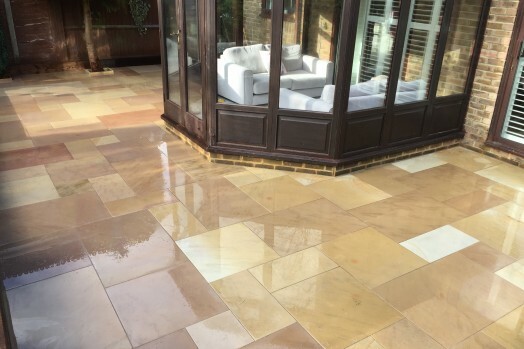 We are Bradstone assured installers so if you choose any Bradstone product not only will you receive the very highest quality materials, but you also get a 10 year product guarantee and 5 year installation warranty. 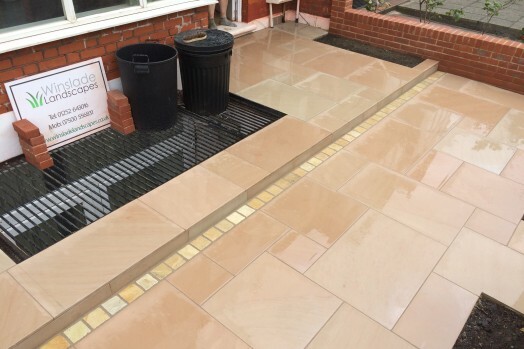 This also means we are always keeping up to date with the latest stone products to advise our clients on the best stone to suit their individual requirements. 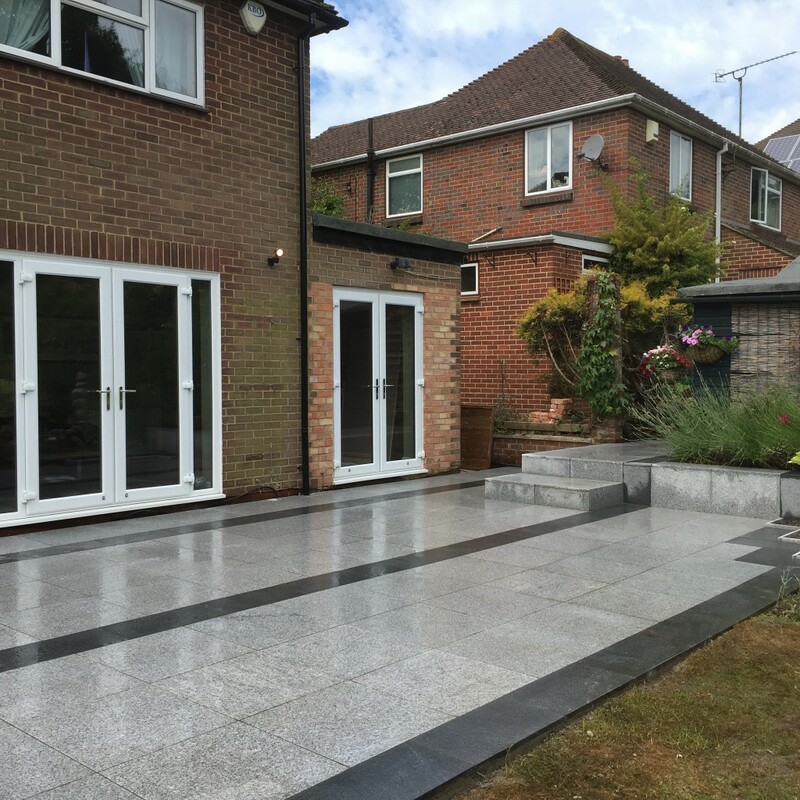 Whether it is natural sandstones through to granite we have installed it all. 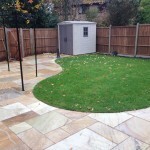 We can help with all aspects of paving and garden design. 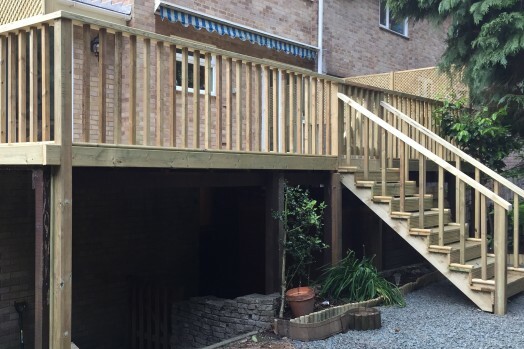 We like to see our projects through from the design stage right to the end of completion so that are clients are completely happy. 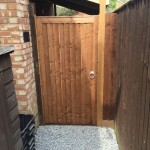 There are many different types of fencing that can be chosen to transform the look of your garden. 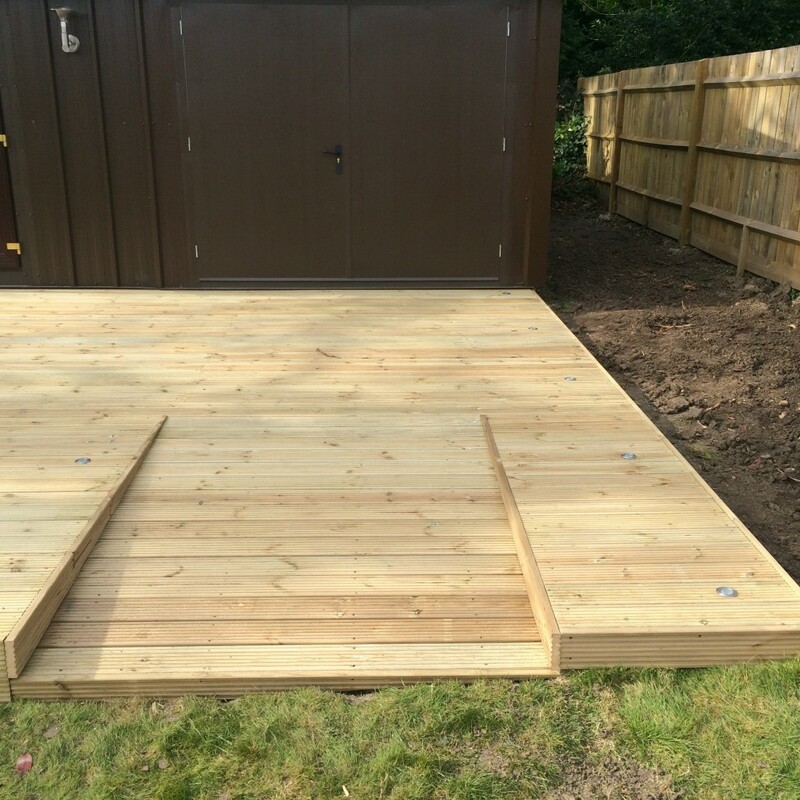 Whether it be close board panels with concrete posts and gravel boards, or close board bays with rails etc. 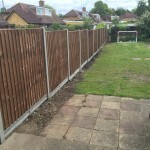 One of our experienced team will guide you through each option with examples and advise on what is recommended for your boundary. 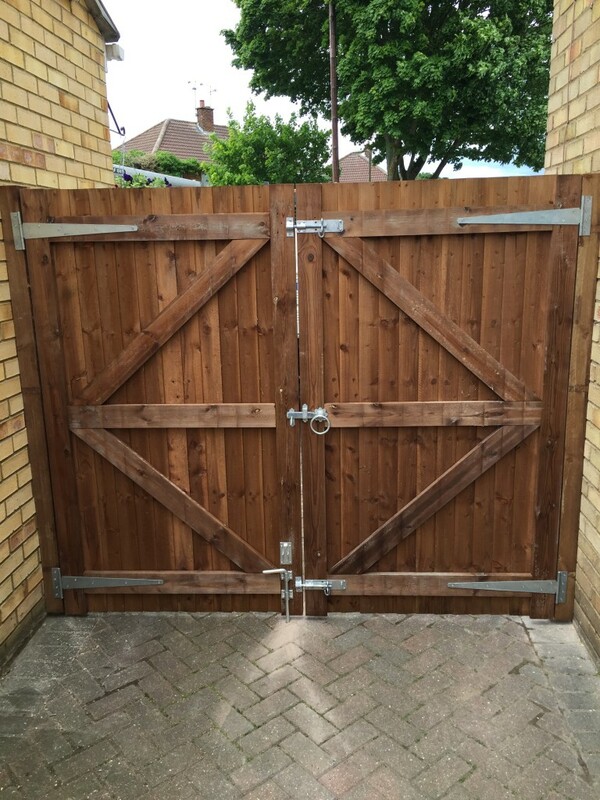 We can also build bespoke gates and doors for maximum security, whilst still looking great! 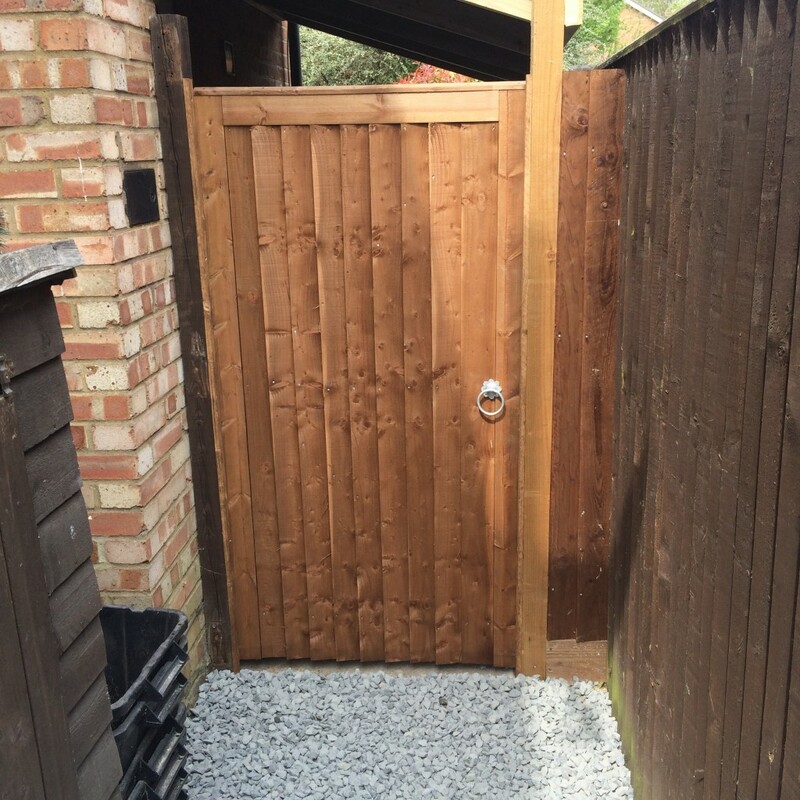 With the strong winds recently we’ve found lots of old fencing simply wasn’t study enough to withstand the force and have blown down or even away, so Autumn/Winter is a very busy time for us here fencing at Winslade Landscapes! Fancy an upgrade? 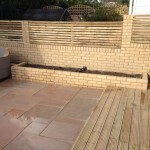 We can also install cedar/oak screening for modern contemporary style gardens. Here at Winslade Landscapes we have installed everything from hardwood, softwood and composite decking. 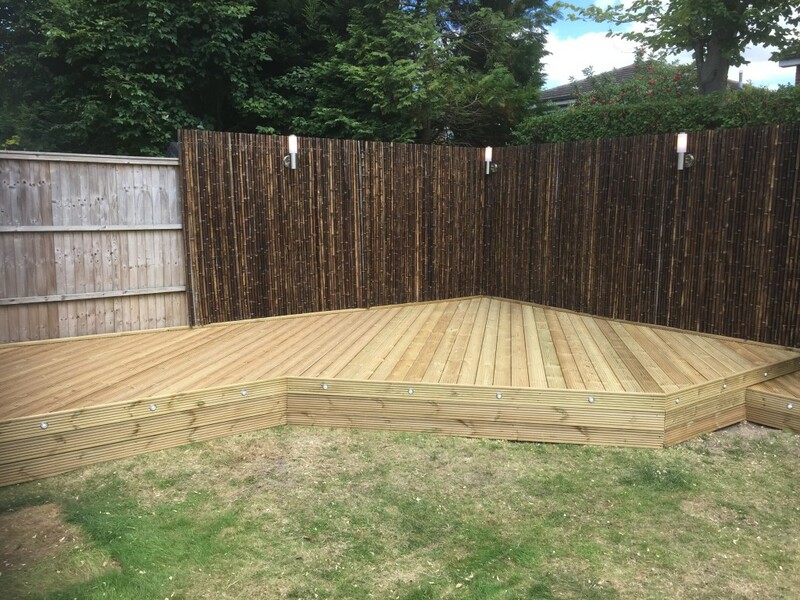 Garden decking is more than a mere outdoor accessory, it’s a way to redefine your entire garden – to make it a far more appealing place to spend your spare time. 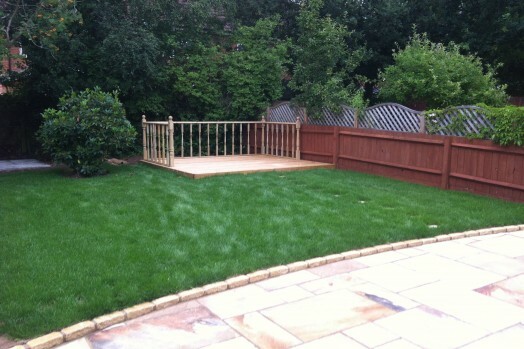 The great thing with decking is it can cover existing patios or turf areas and can create great sun terrace areas. 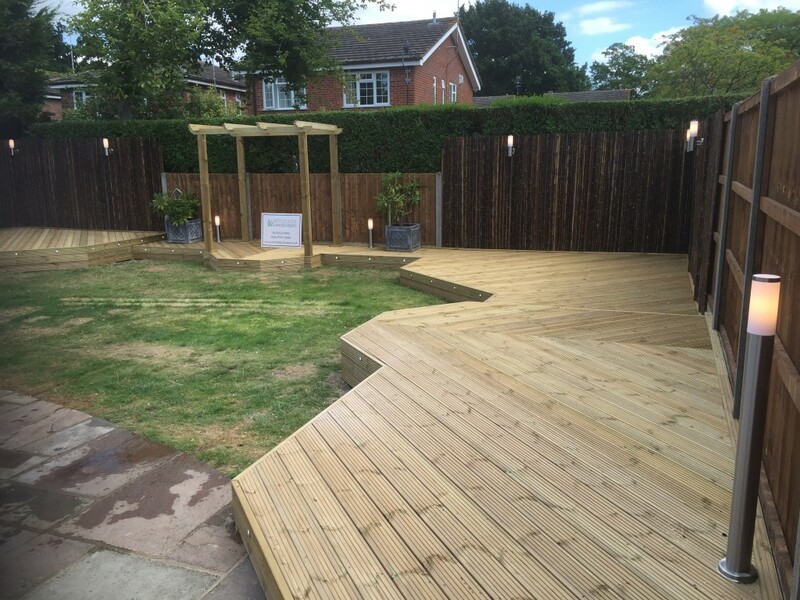 You can add lighting or handrails to get the desired effect in your garden. 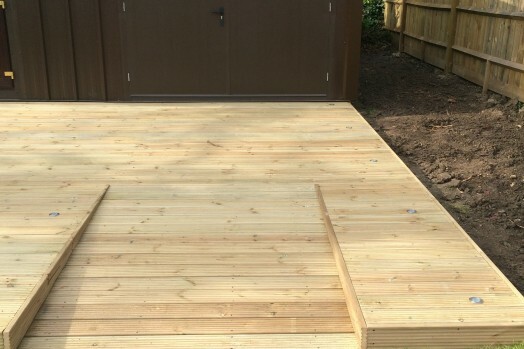 The composite decking is becoming more popular as it lasts a lot longer with less maintenance of the normal timber decking. 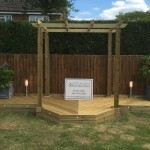 It can be installed in tiers or in larger areas to be used to entertain with family and friends. 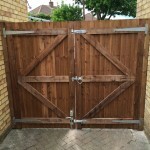 Get in touch for a free quote now. 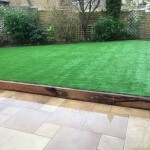 Artificial grass installations are becoming more and more popular here at Winslade Landscapes. 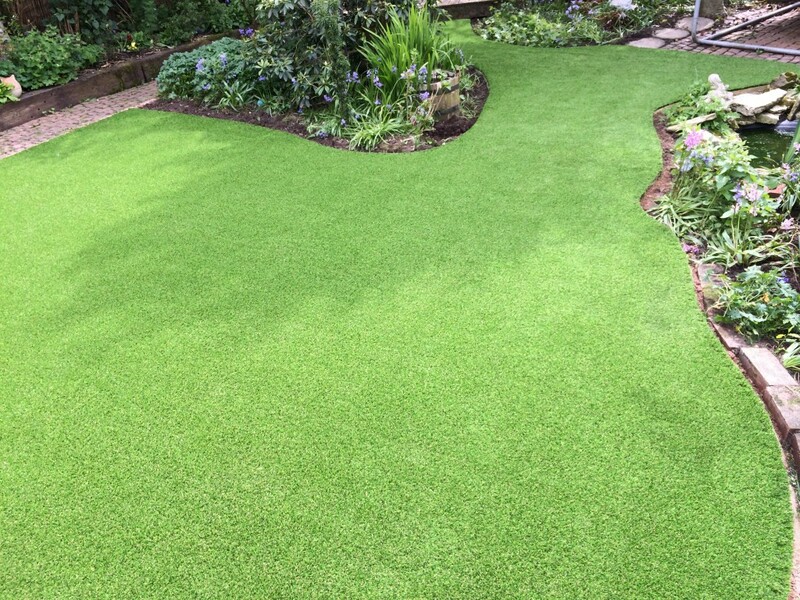 When you first hear the words “artificial grass” some may be taken straight back to dodgy astroturf at school or think of a very thick false feeling nylon product, whereas this couldn’t be further from the truth with the latest artificial grass technology. 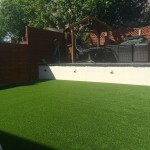 Now available in a range of materials, finishes and colours for maximum authenticity, it is now getting increasingly difficult to determine the difference between “fake grass” and the real thing. The look and feel will be remarkably similar, which means the only real difference now is maintenance. 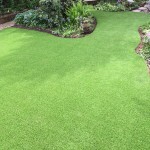 It’s no surprise that we would all love a perfect looking lawn without having to brave the great British elements and get out there to manicure it once a week, but artificial grass now gives you both. 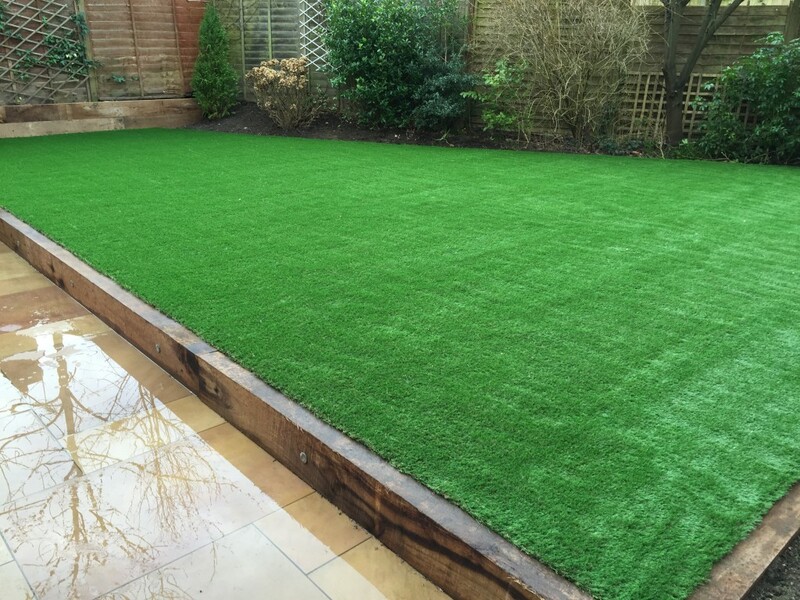 No more lawn mowing, no more messy mud prints, and thanks to sophisticated drainage systems – no more water logging. 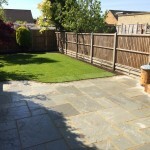 Winslade Landscapes can now offer you a perfect maintenance-free lawn to enjoy with the family all year round. 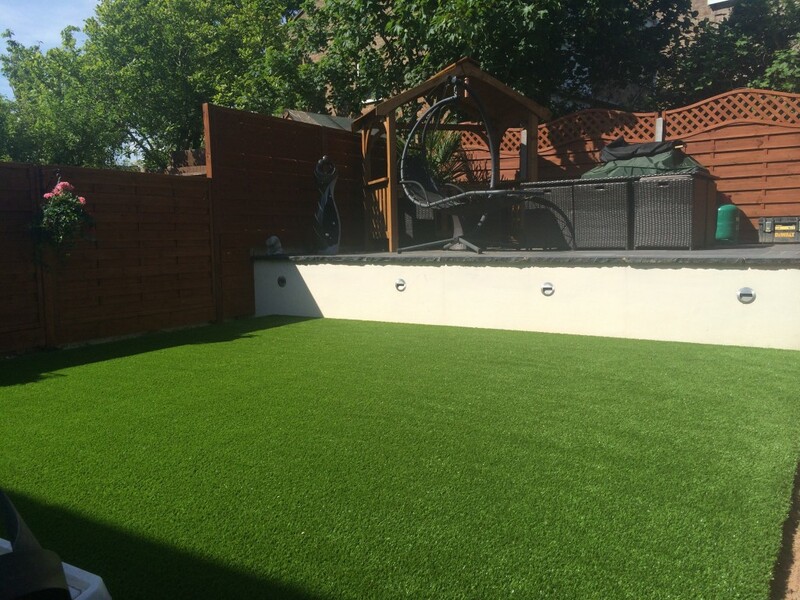 All our artificial grass installations are pet friendly and UV guaranteed for 10 years. 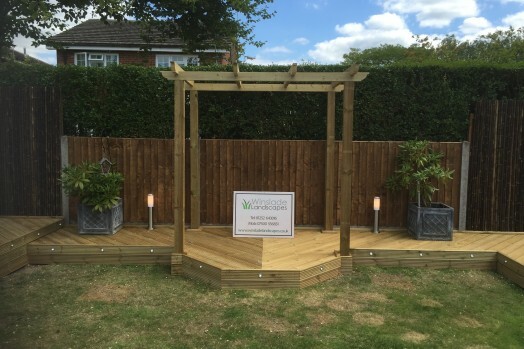 The walling possibilities of a garden can sometimes be ignored or underestimated but it’s a very effective way to add an elegant frame to your garden space. 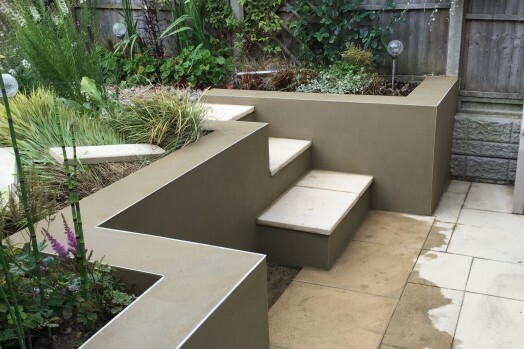 It’s not always obvious to come up with design ideas when it comes to walling in gardens so one of our professional designers will advise you what will work best for your project. 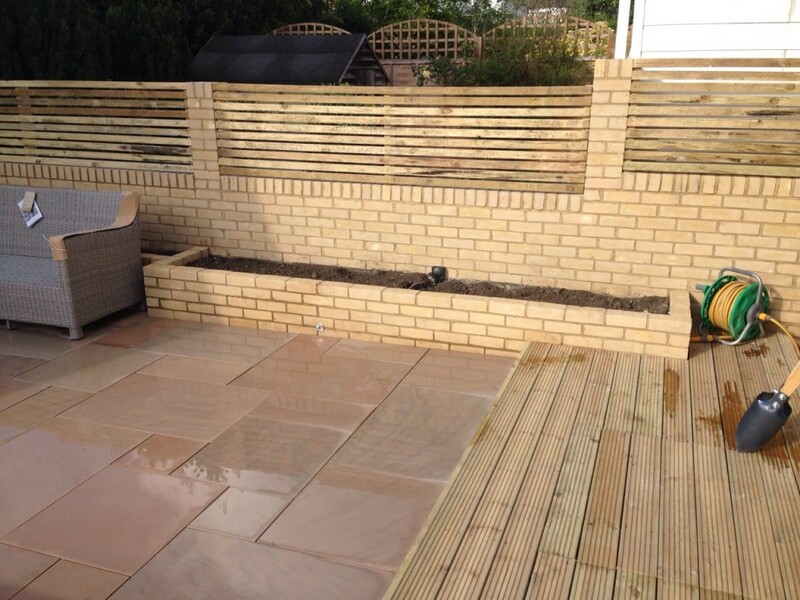 Winslade Landscapes can install all types of walling, including raised planters, retaining walls or just decorative dry stone walling to suit the aesthetics your property. 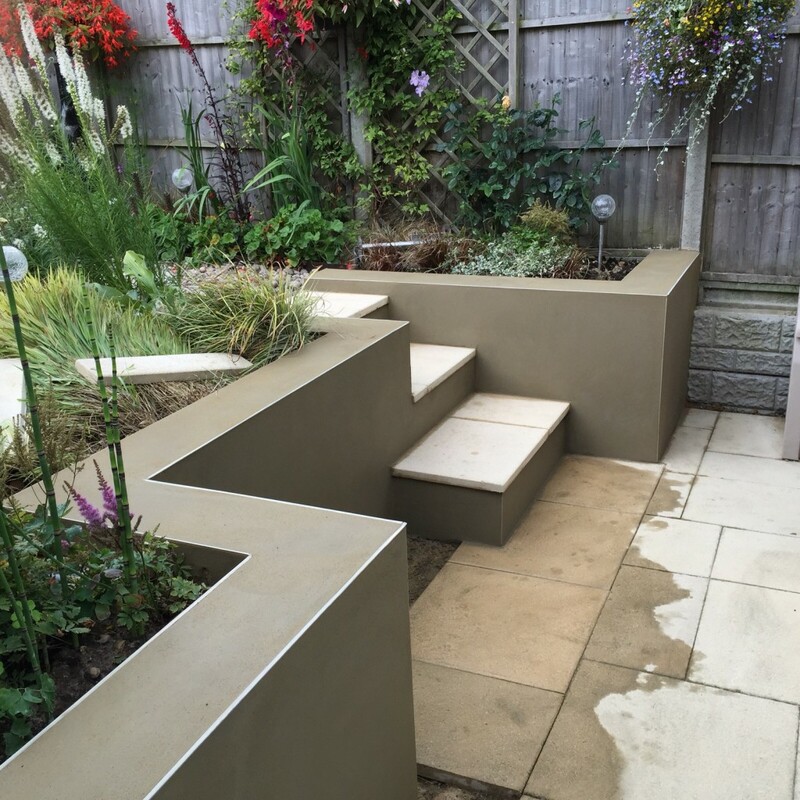 We also have a rendering service we can offer which is becoming evermore popular to give a very professional smooth wall finish. 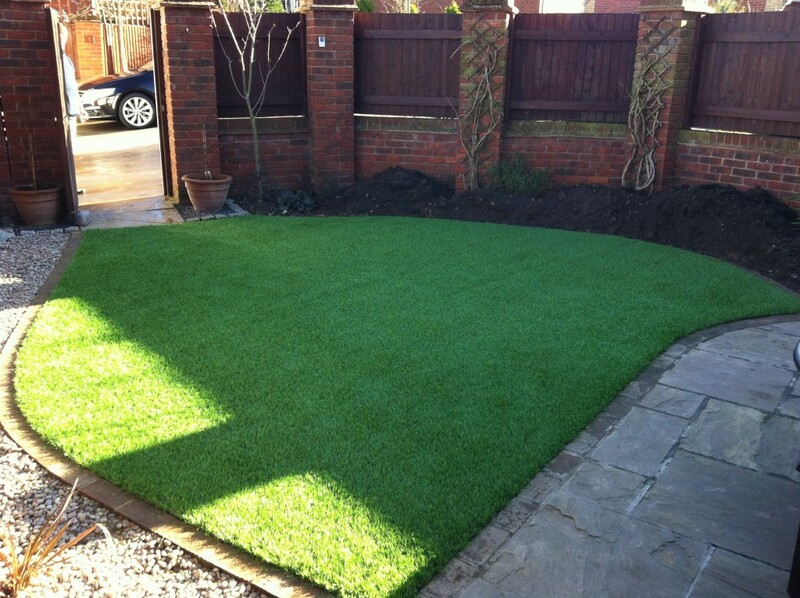 Turfing is one of the simplest services we offer but also one of the most important. 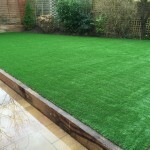 Installing a good quality turf is the finish to all of the landscaping projects we undertake as the fresh green colour of the grass will completely transform the look of an entire project. 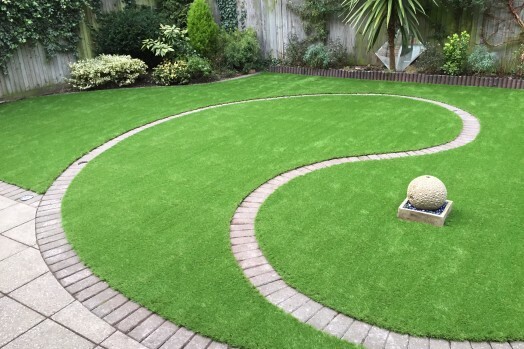 Don’t struggle with constantly maintaining an old lawn that isn’t doing so well, we can help by reviving the look of your garden by installing new Rolawn turf. 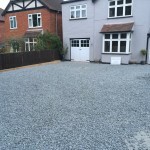 Contact us now for an unbeatable quote. 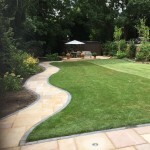 Winslade Landscapes is a family run garden landscaping business with over 15 years of hard and soft landscaping experience, bringing a wealth of knowledge to every project we undertake. 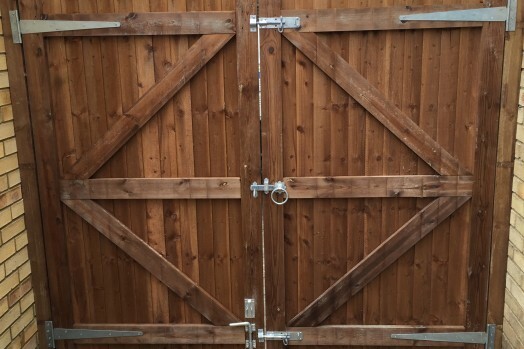 The company was started by Daniel Grimes who named it after his grandfather who sadly passed away in 2007. 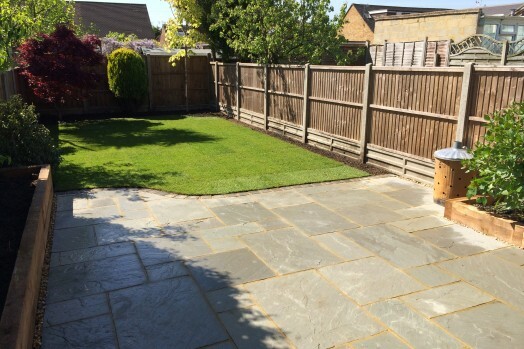 As a family business Winslade Landscapes are very proud to be carrying on our grandfathers name and we are sure he would be very proud of us. 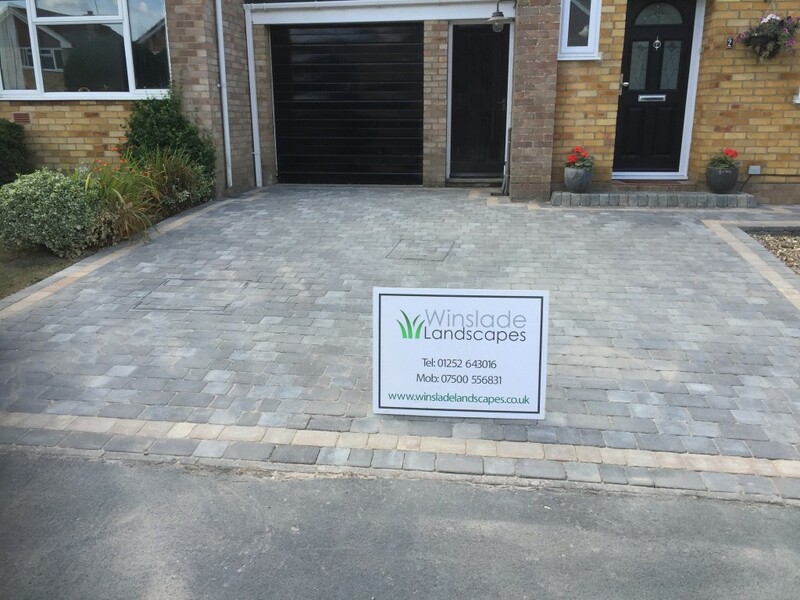 Winslade Landscapes specialise in contemporary driveways and patios, and there’s absolutely nothing we enjoy move than creating your very own perfect garden to be enjoyed all year round. 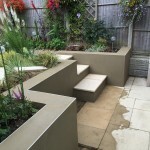 At Winslade Landscapes we like to work in closely with each of our clients various individual needs and we love bringing ideas from paper into reality. 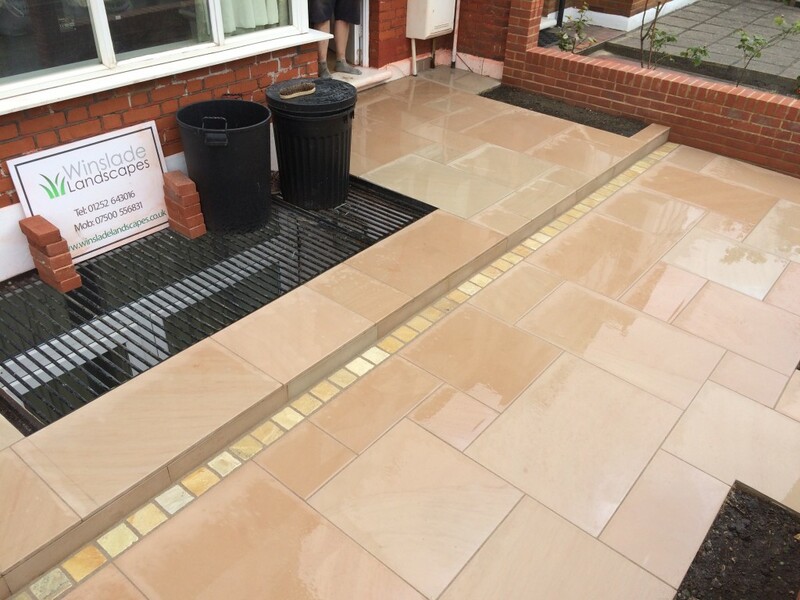 We are Bradstone assured installers so we can offer each of our clients a 10 year product guarantee and 5 year installation warrantee. All of our jobs are always completed to the very highest standards achievable and we treat each garden as if we were landscaping our own. 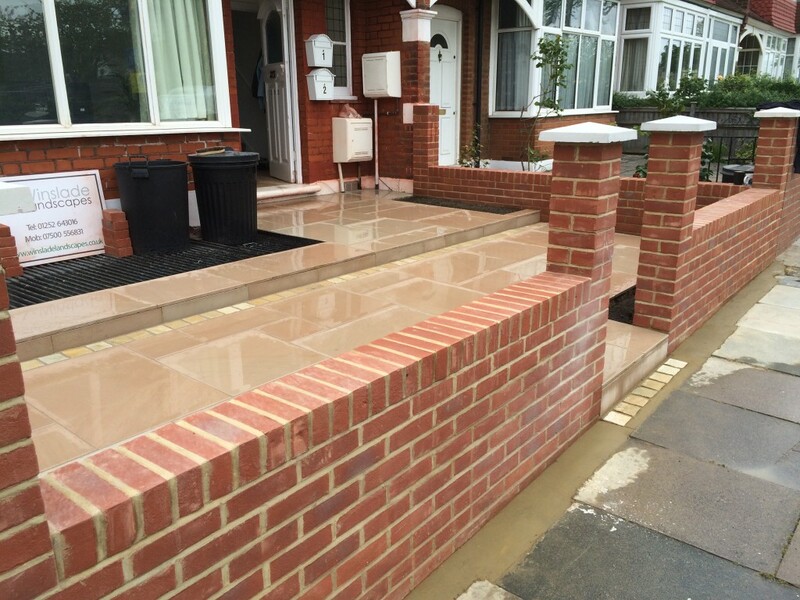 We pride ourselves in a quality over quantity approach to our projects and nothing is too difficult. 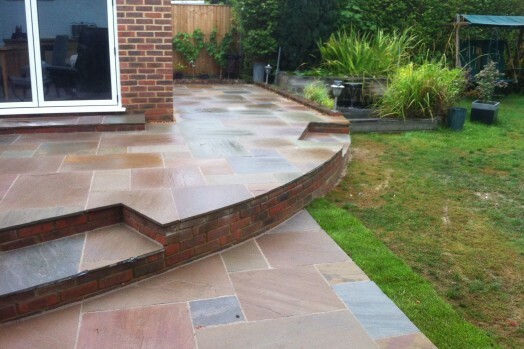 Customer satisfaction is always our ultimate goal. 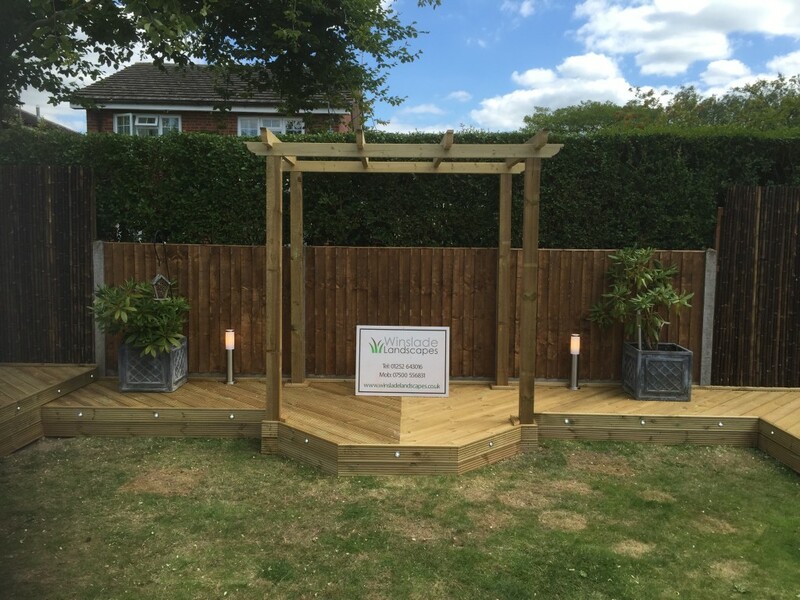 We would love to hear from you to discuss your ideas and requirements, no matter how big or small your garden project may be. 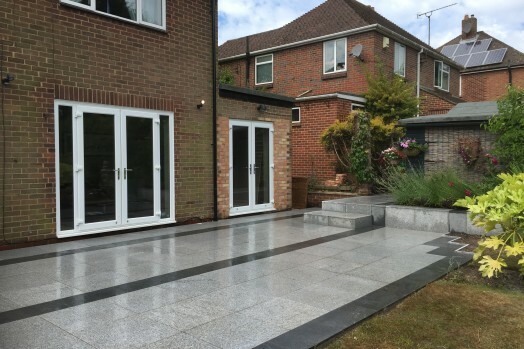 We offer a free no obligation 1-on-1 consultation, so one of our designers will be happy to come out and visit you at home when convenient to talk through all available options, and provide you with a very competitive quote. 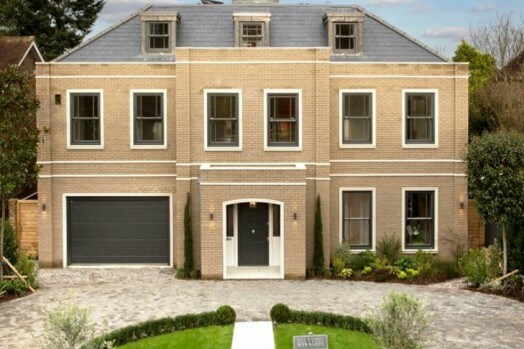 Don’t hesitate to get in touch now to arrange your free consulation. 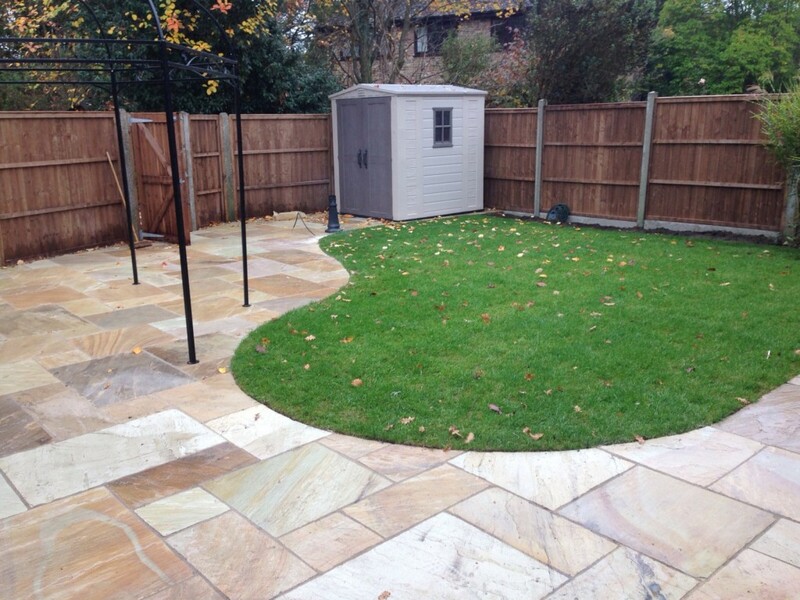 Winslade Landscapes cover Hampshire, Surrey, London, Berkshire and other surrounding areas. 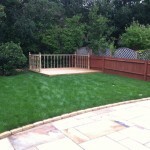 "Absolutely delighted with our new garden!! The lads were flat out and couldn't have been nicer blokes. 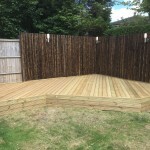 Highly recommended cheers Dan, Adam and the others"
"I've just had my garden totally re vamped - artificial grass (as my grass was awful with my dog digging) and a stunning decking area. 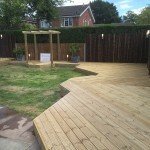 I've watched the garden progress through the week, these boys are true gentlemen and work so hard, they have gone above and beyond for me this week and I am over the moon with how my garden looks. 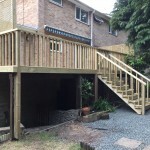 Thank you so much Dan, Adam and little Dan, you are amazing lads and I would recommend you any day of the week. Your work is fantastic and u truly are wonderful boys. I shall sit in my garden this evening and raise my glass to you, maybe even a few times! Your grandad would be so very proud of you. 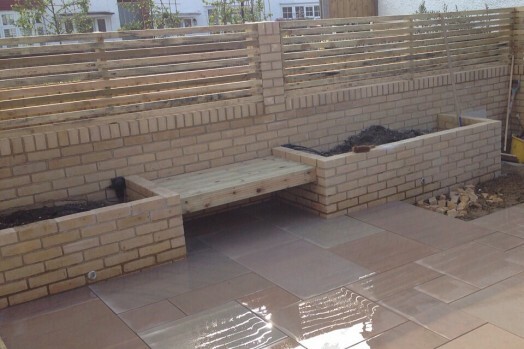 Big hugs lads, from a very happy lady, and thank u from Melissa and Gary x"
"Really thrilled with our new garden. 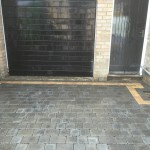 The advice given to us was spot on and the work carried out very efficiently. 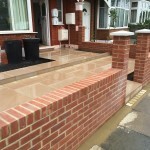 Really nice lads very hard working they take real pride in their work and it shows. 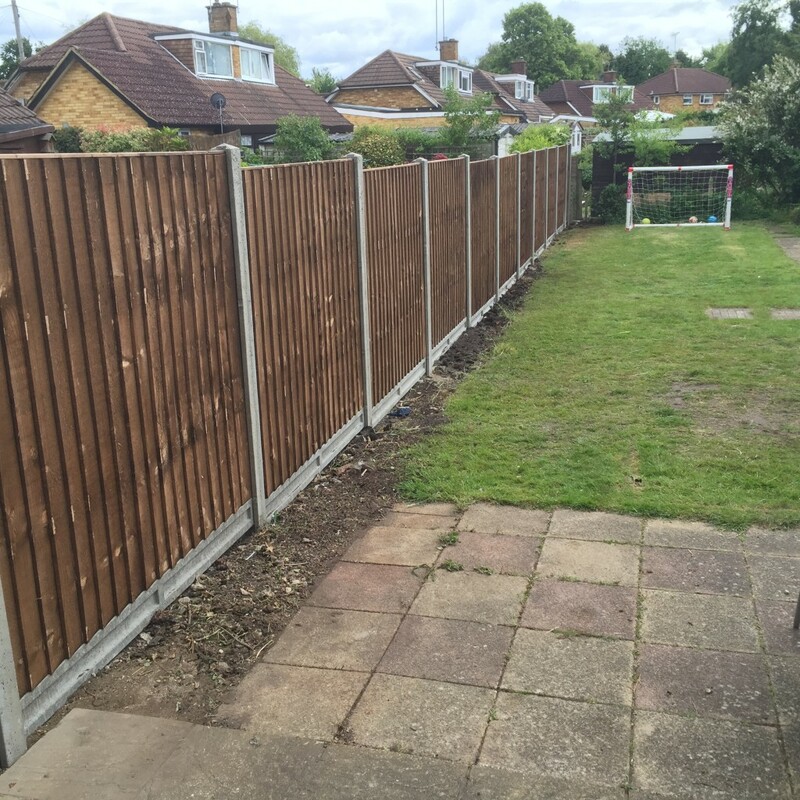 We wanted a child friendly garden for our Grandson and one that doesn't take too much maintenance. Both achieved thanks so much boys." 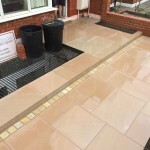 "We chose Winslade landscapes to lay our patio, Adam & Matt arrived when they said they would & the communication was excellent throughout the whole process. 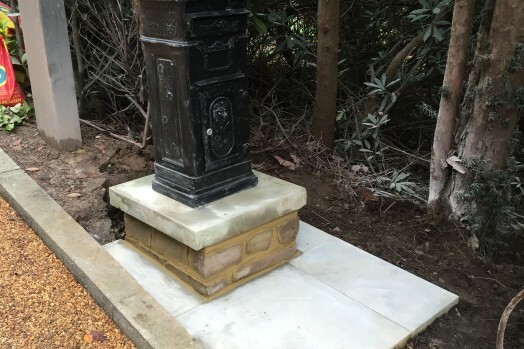 We were more than happy to leave the guys here working on their own as we felt comfortable around them. 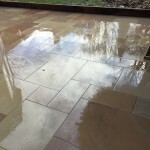 The quality of workmanship is outstanding and they came up with suggestions on things which finished the patio off nicely. 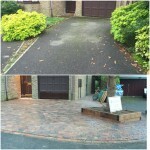 I wouldn't hesitate to use them again and probably will be getting them back to do the front garden." 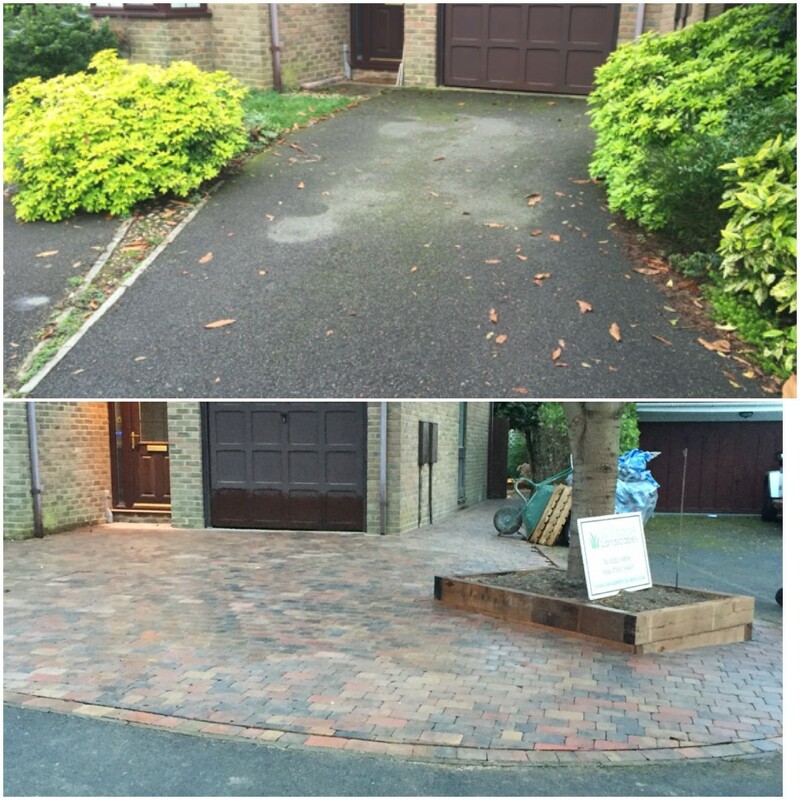 "Dan and his team completely changed the front of our property and the advice from Dan about the colours and style of the bricks for our drive was spot on. 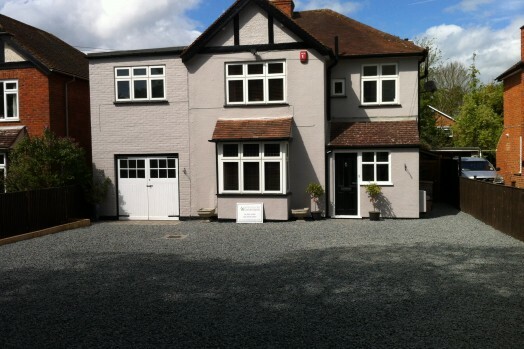 They were efficient, tidy and just really nice people, which is really important when you are recommending someone. 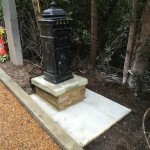 An excellent job, thank you." 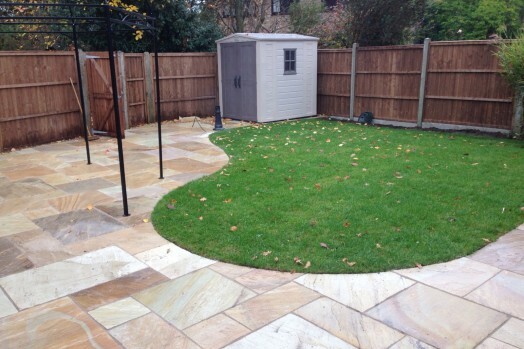 "We were very very pleased with the overall service received from Winslade Landscapes. We will certainly be using their services again. 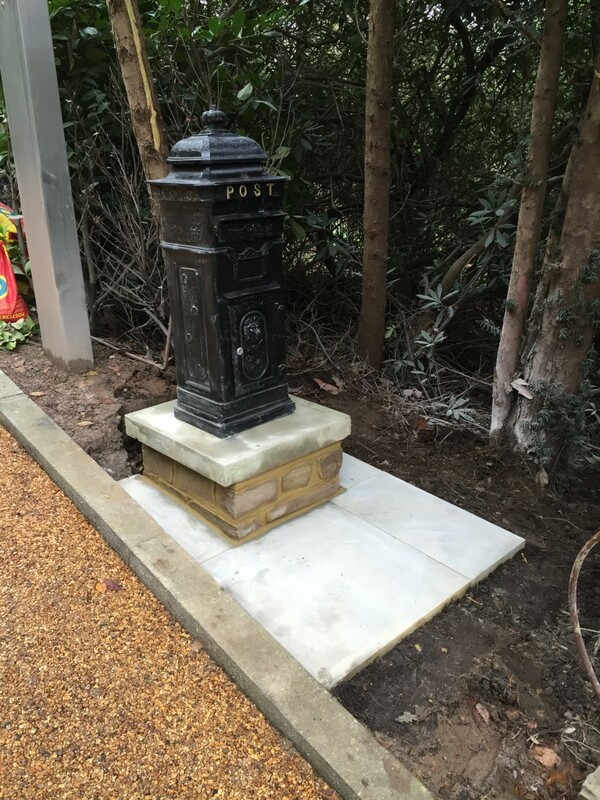 Nothing was too much trouble and we were extremely pleased on the finish of the project." 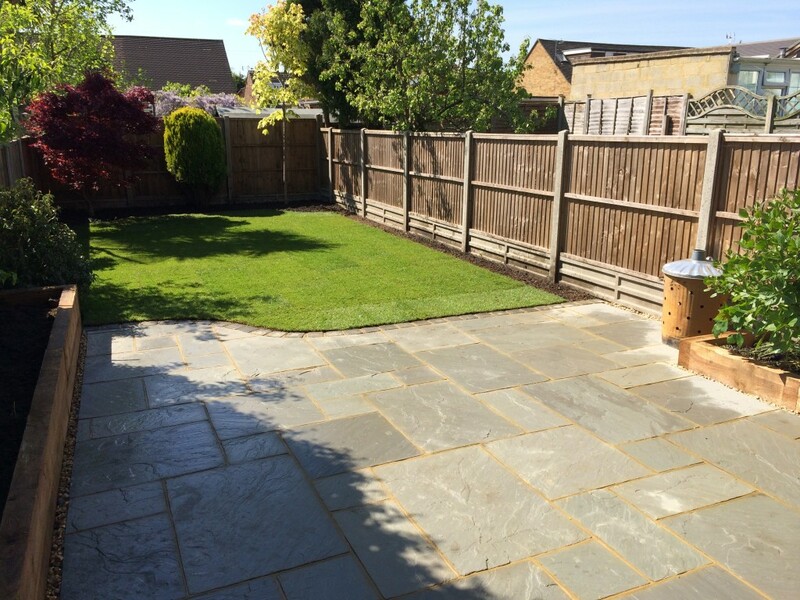 We are very happy to announce that Winslade Landscapes are now proud members of Checkatrade. 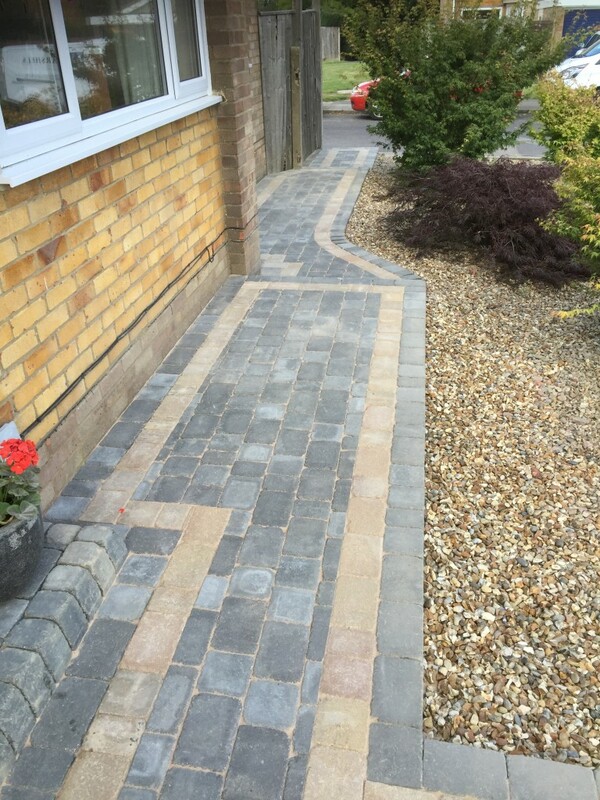 We feel it is important for our clients to know they can trust in the quality service we provide so we're anticipating that checkatrade will highlight our extremely high customer satisfaction rate. 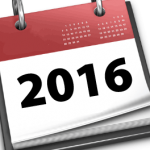 Our checkatrade page is still being setup at the moment so watch this space for more news on this very soon! 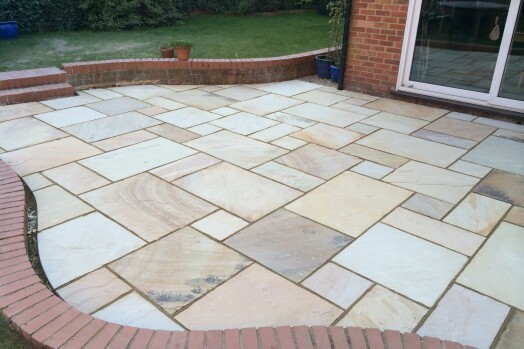 Happy new year from Winslade Landscapes! 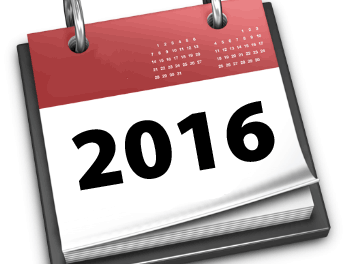 So its a new year and we are well under way, back in full swing where we left off from 2015. 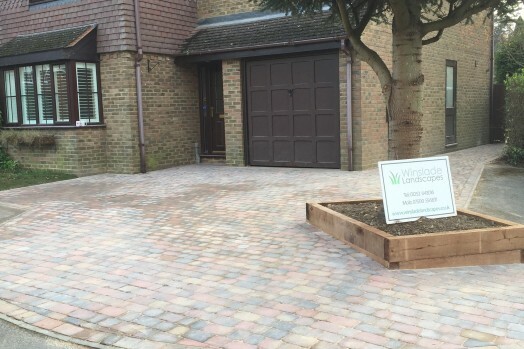 We've already started the year with lots of driveway, patio and artificial grass enquiries which we are very happy about. 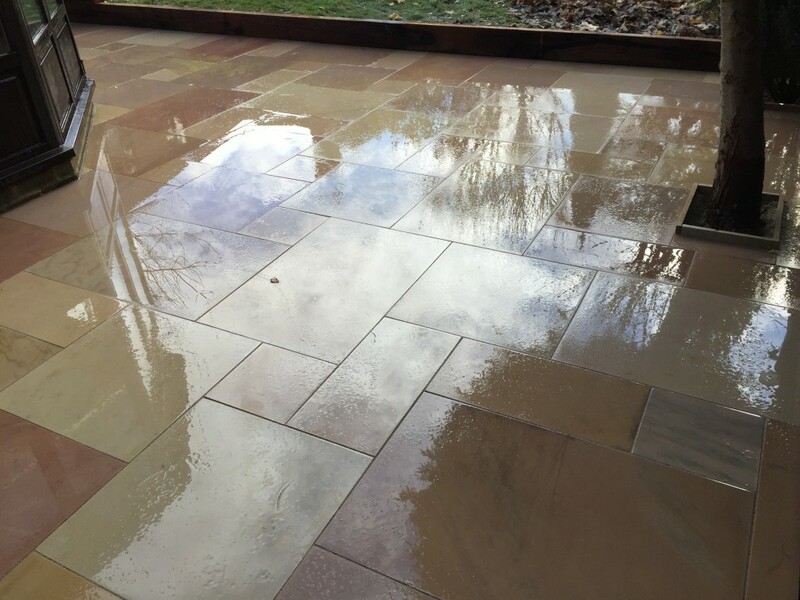 We are hoping to continue on from last year and judging by the jobs already booked in and these enquiries it's looking that way....the only thing we would like to change is just to have a bit more sunshine than last year! 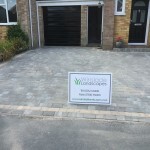 We're also excited continue to work alongside some our partners from last year, working closely with our good friends Goddards Landscape Contractors and SRD paving. 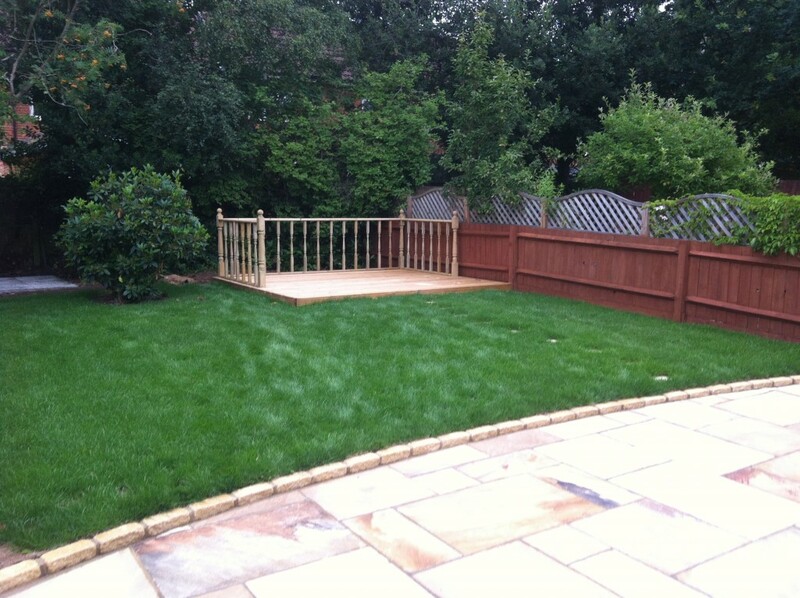 Get in touch now for a free friendly consultation as our availability is going fast! 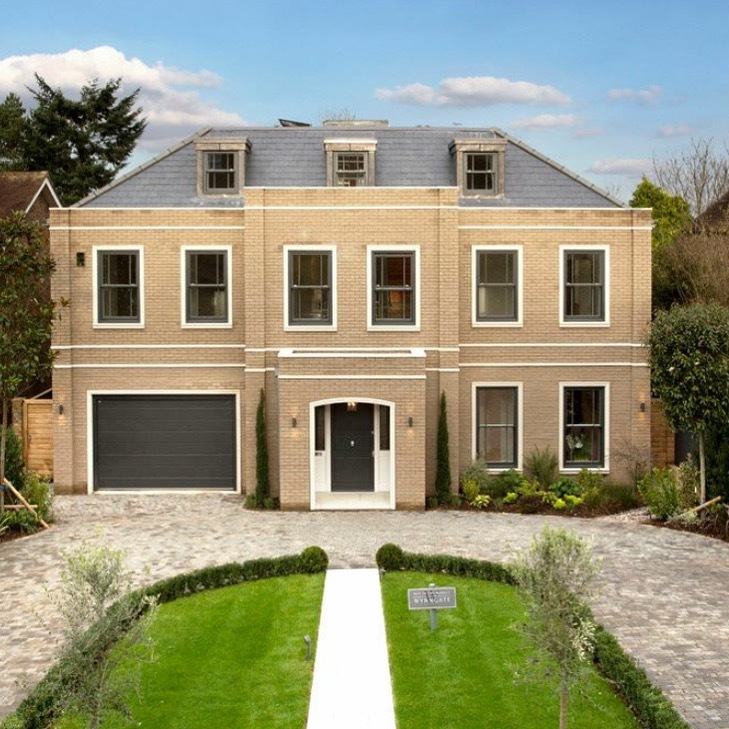 Welcome to our brand new website! 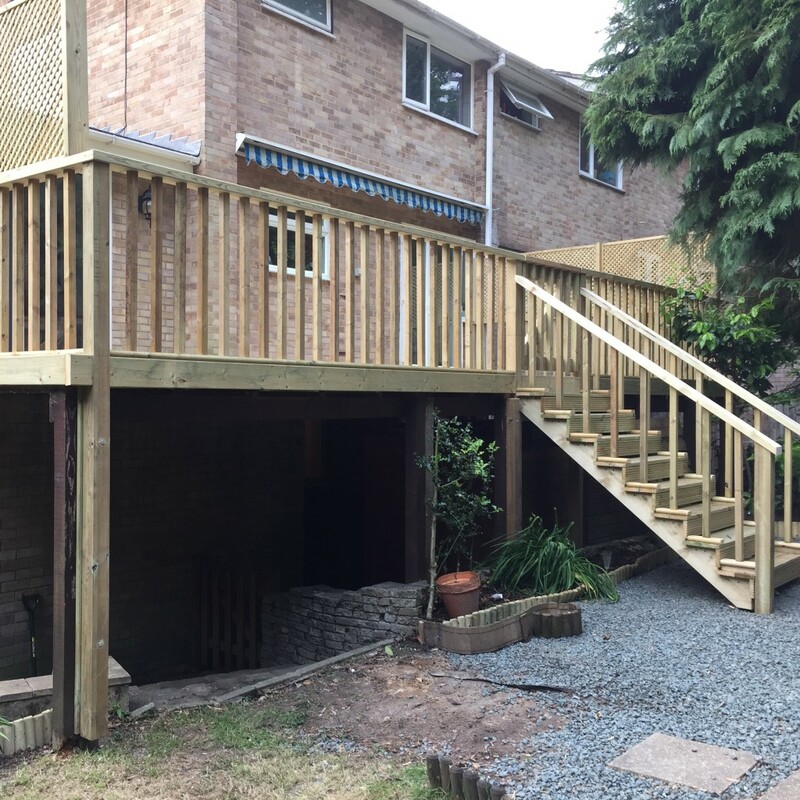 Here you'll be able to see all of the services we offer, view some of the projects we've been upto lately and get in contact for a quote. 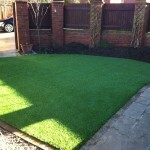 I'll also personally keep you updated with any news and blogs to help assist you in choosing the right garden. Please don't hesitate to get in touch for any enquiry, big or small, and I'll be happy to go through all the options with you! 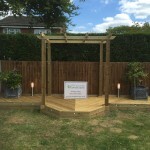 Copyright © 2019 Winslade Landscapes. All rights reserved.